When you’re looking to perfect your skincare regimen, you feel like you’ve tried everything, every variation of every product on the market. You want something that moisturises that doesn’t make you break out, you want to even out skin texture and discolourations without feeling like you’re applying acid directly to your face. You stand in the chemist and feel exhausted — but don’t worry, Korean skincare products are here to save the day! Whether you’re well-versed in Korean beauty products, or looking to dip your toes in the waters for the first time, you’re in good hands. Koreans are known for their beautiful skin, and it’s not because they’re born with it, it’s because they’re not buying junk skincare products full of artificial fillers! 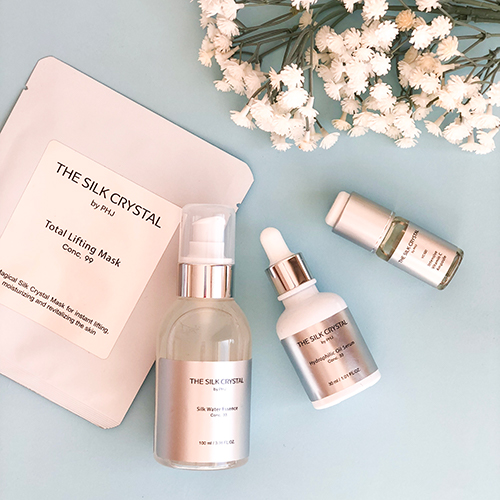 They focus on safe products made from natural ingredients, like Silk Crystal® — a Korean beauty brand new to Australia’s shores with gorgeous, simple products to help your skin glow! WHAT IS THE SILK CRYSTAL? The Silk Crystal is a new Korean skincare brand created by Pi Hyun Jung (aka Director Pi), a prominent Korean beauty guru. She is well-known for actively advocating for the minimal use of skincare products (unheard of in Western markets! ), with an emphasis on quality products as well as caring for your skin through all available avenues (such as diet) rather than resorting to creams and masks. This means that when she makes a product, she really believes that it’s the best way to fix a problem that your skin might be having! Having seen the incredible results Silk Crystal® had on her daughter’s severe eczema, she went on to develop and perfect a suite of Silk Crystal® products that brighten, whiten and hydrate all at once, resulting in beautiful, brighter, evenly-pigmented skin through products found in nature. It might sound strange, but if you look into it, it makes sense. Historically women who worked in silk factories were always blessed with the most extraordinarily soft hands, and people who wore silk garments found themselves less afflicted by skin inflammation, irritations and allergies. 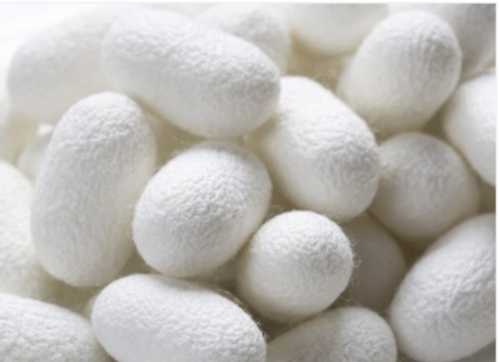 Silk proteins and skin proteins have a lot in common, which is why silk proteins are often used to regenerate skin, and even sometimes used as artificial skins in burns cases, as well as in collagen production by doctors. 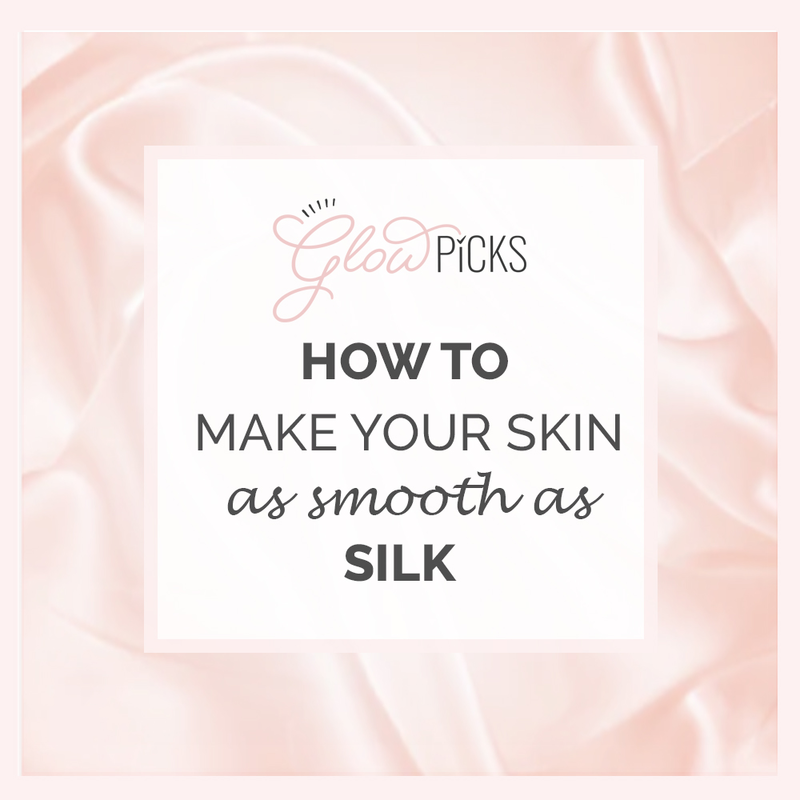 Because silk is used to help heal wounds, keep damaged skin protected and moisturised, and soothe inflammation, it makes sense to use it for skincare. It sounds obvious, right? So I hear you asking, ‘WHY HAVEN'T WE ALWAYS BEEN USING SILK FOR OUR SKIN?' - The fact is that most of the natural soothing properties of silk are lost when it is treated for topical use. While it might still be good for your skin, it’s not as good as the real deal, so it has been passed over in favour of other (usually artificial) ingredients. Fortunately, we can now all benefit from the researched and patented technology behind Director Pi’s Silk Crystal® products and enjoy the natural benefits of silk without the loss of potency that has stopped us from using it in skincare and beauty products in the past. If you’re looking for a new mask in your rotation, this might just be it. 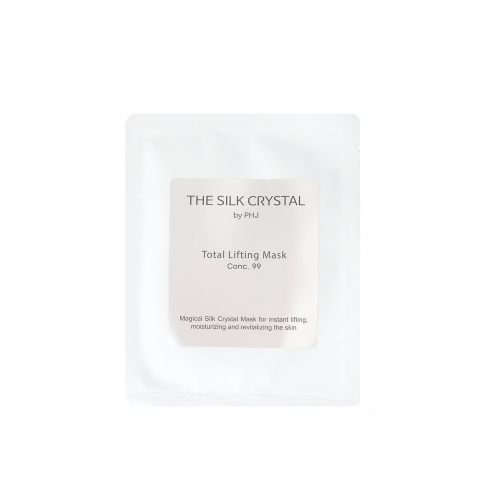 The Silk Crystal® sheet mask moisturises and lifts the skin through slow self-contraction as it transfers its nutrients to your skin, leaving immediately visible results. 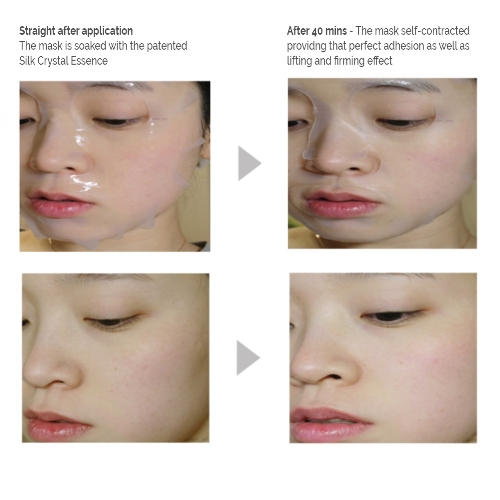 The mask is made from natural moisturising and brightening ingredients such as aloe vera, broccoli and extract of ginseng, which are natural humectants (meaning they help keep moisture in your skin) that are also full of anti-oxidants, brightening and rejuvenating dull and depleted skin. This mask can help with fine lines, visible pores and brightening dull skin, and can help instantly soothe aggravated skin with its cool, calming application. This one’s a double-hitter with its gel-like formula, doing the work of a toner and an essence while being absorbed quickly into the skin, leaving it moisturised and nourished with a single product. If you don’t want to complicate your regimen (or you’re looking for high impact, low effort), then this one’s worth a look. 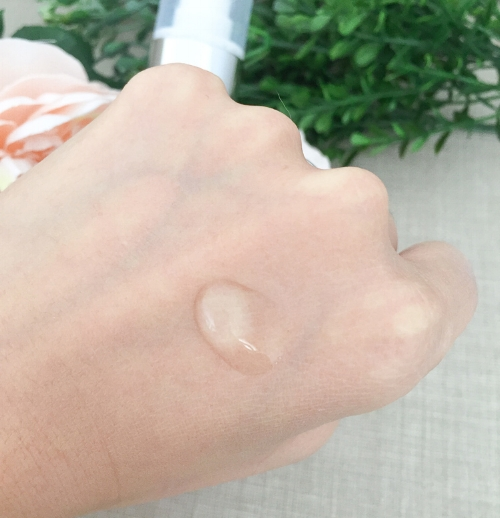 Don’t overpay for specialty Niacinamide lotions and treatments — the Silk Water essence gives you all the Niacinamide you need along with a host of other natural ingredients to soften and hydrate your skin, leaving you feeling lighter and brighter than before. Director Pi has given us a true gift with her patented Silk Crystal® technology. It’s a breakthrough from Korean skincare and beauty that will revolutionise your skincare regimen and leave your skin as smooth and lustrous as its namesake, so why not take the silk road? The Australian summer is unforgiving, and it’s your skin that wears the consequences. Now you might be thinking that you already have a vitamin C cream that works just fine thank you very much, but the Silk Crystal® technology means that the product itself is more effective while being less irritating for your skin. 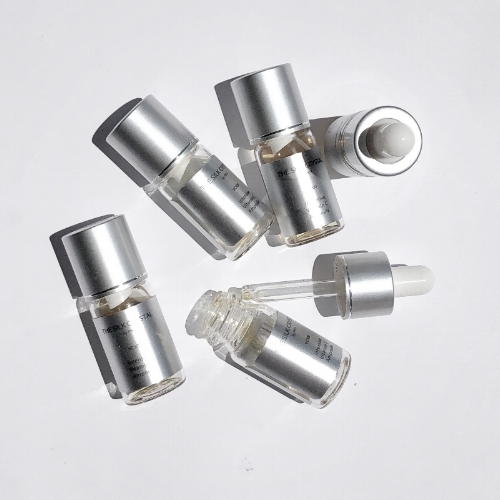 If you’ve struggled to use vitamin C treatments and serums in the past, this might just be the option for you. Also, the packaging of these mean that the fresh vitamin C is released into the bottle when it’s opened, not when it’s produced, so the ingredients are more potent than other vitamin C products on the market. Also, the smaller containers mean that less product is exposed to air, meaning your whole container isn’t oxidising and losing potency from the moment it’s opened!